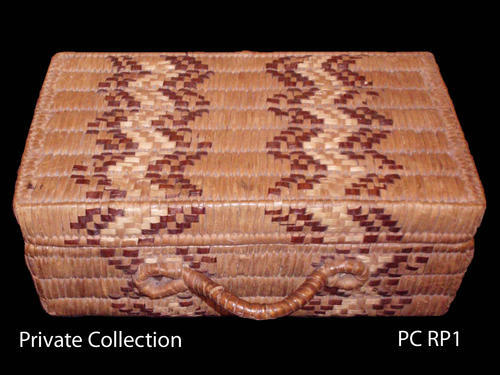 This beautiful lunch basket was made by Jeannie Dominick for her niece. 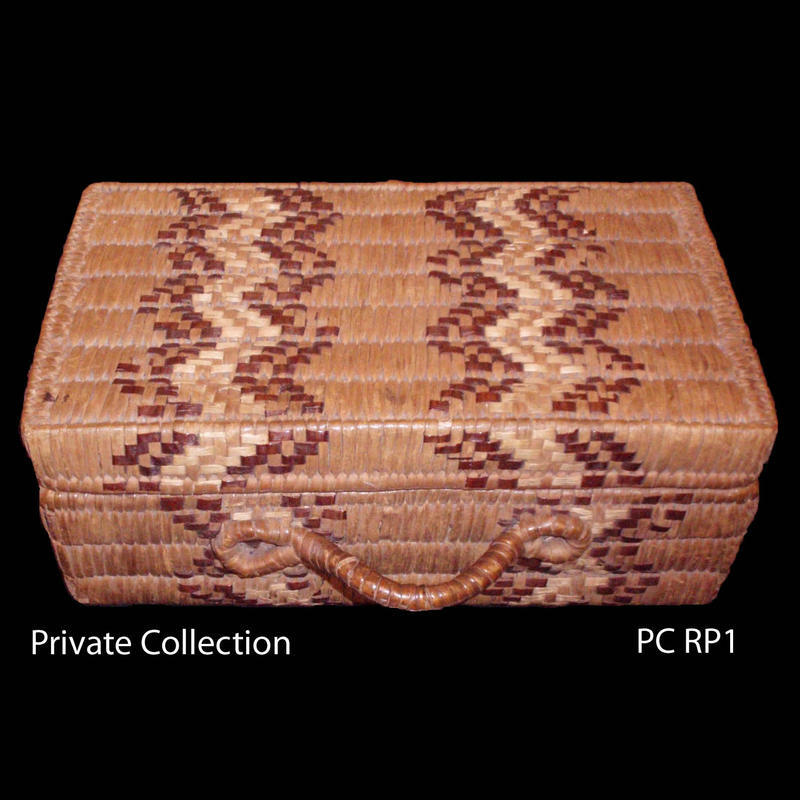 It is remarkable in that the beaded designs are on 5 of the basket's 6 surfaces. 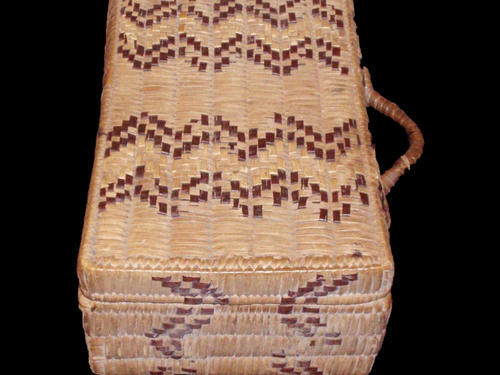 Only the narrow face opposite the basket's handle is undecorated, suggesting that Jeannie intended for the basket to sit upright like a suitcase with the handle facing upward. 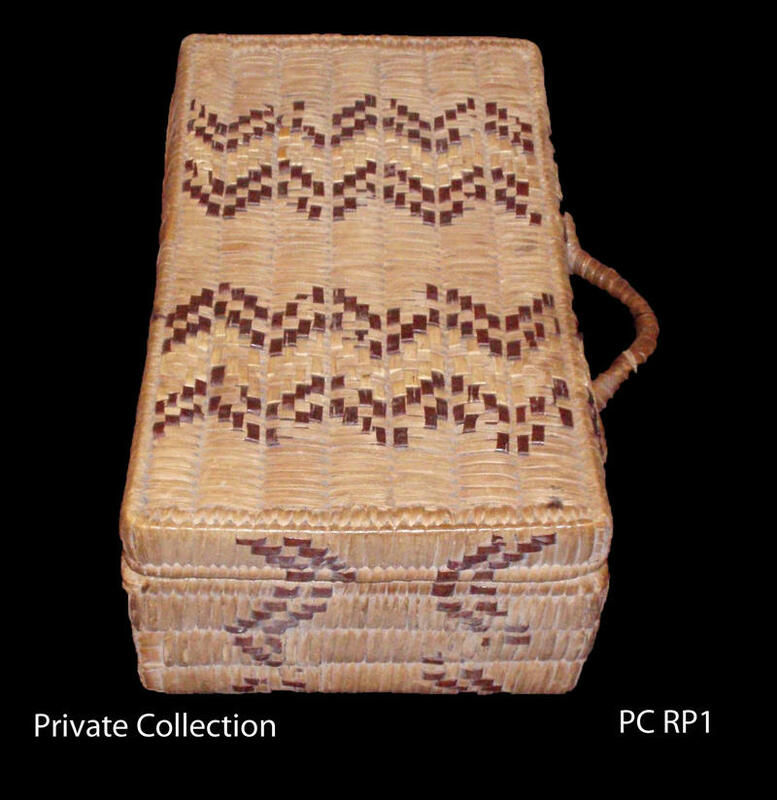 Small 'suitcase' style slat coiled basket with beaded designs.